Looking for Accommodation in Mount Gambier, SA? Mount Gambier is the regional centre of the South East of South Australia. Mount Gambier with its twin lakes and peak surrounding South Australia's second largest town is clearly visible from all directions makes a formidable picture on the horizon in this otherwise flat region. With the Coonawarra wineries to its north, the Glenelg River and Discovery Bay to its east, Mount Gambier provides some interesting tourist features itself - some, right in the heart of the town, literally. The town is perched on underground chasms. And the town's water supply, comes from the famous Blue Lake only 2kms from the main street. The town has numerous historic buildings, may being the pubs listed, and amongst the others, are the likes of the original Town Hall. 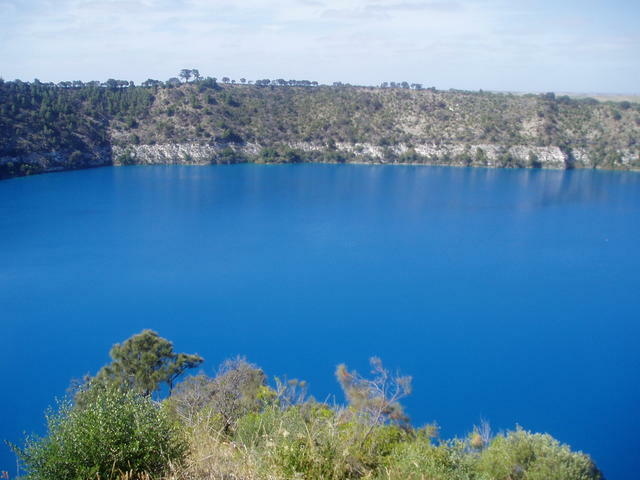 Walks around the Blue Lake, and visits to its historic pumping station, are complimented by the steep walk up to the lookout at the peak of Mount Gambier on the adjacent lake.